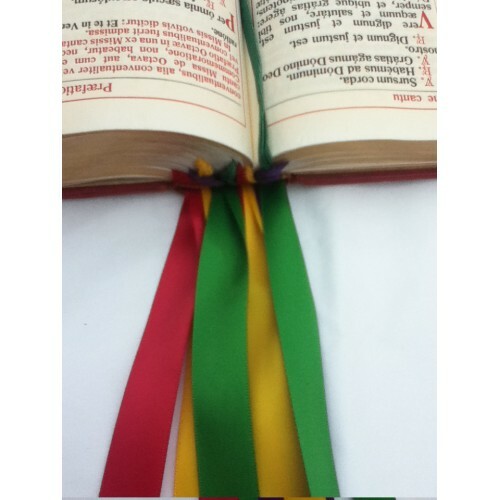 The ribbon marker easily inserts into and securely fits into the missal’s spine (see picture) and there is a choice of three different lengths. The thin leather tab will be the width you would choose from the options offered and 8 cm long (3 inches). 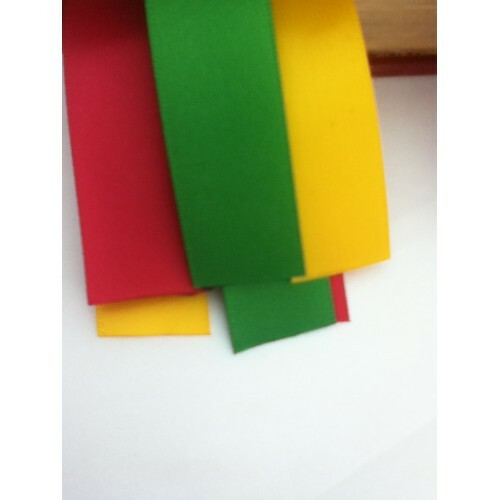 To choose the appropriate tab width, measure the spine of the book and choose a tab at least 1/2 cm smaller than it. 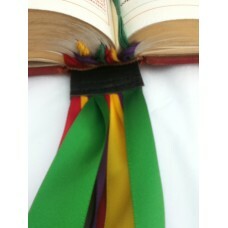 Each tab will have 6 ribbons attached. If you require specific ribbon colours, please enquire. The ribbons are cut with a hot knife so as to melt the ends rather than cut them to avoid fraying which will make them last longer. If you have any other requirements, just send me a message.